It takes a book this good for people to want to censor it. 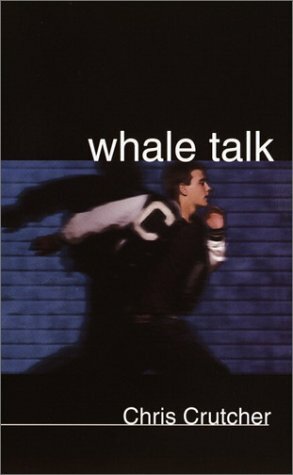 Whale Talk is a very interesting book, even though it is boring in the beginning and I almost brought the book back and almost picked another book to read but I decided not to and I'm glad I didn't because this is a great book. Its about a colored boy named T.J who was adopted because his mother did drugs and he was adopted to a mother who is a lawyer and he also has a dad and they are both very nice and they always wanted a kid but never could have one. T.J likes to swim, so he gets people together to make a swim team and a reason why he is doing this is because he wants him and the other people on his team to have there own letter jackets, because in there school you cant where a letter jacket unless you earned it by doing a sport or activity. So T.J gets a swim team together and the people on his swim team are people who dot really fit in with other people at school but they all get to know each other and become friends. Whale Talk is about a teenager named T.J. Jones. He has a very hard and unhappy childhood, his mother leaves him and someone adopts him. The parents that adopted him are very nice and kind. His dad looks like a crazy biker, but is actually a soft-hearted man, especially when it comes to kids. His mom is a lawyer and helps T.J. alot. The storyline is basically T.J. trying to start a swimming team. He tries to gain more members and it the end he gets a swim team filled with misfits. They work hard and get to know each other good. The book ends with a surprising chapter, and it teaches T.J. a big lesson. Lupica spins a tale of baseball as it was meant to be played. It's pretty apparent that Lupica was not much of an athlete when he was younger as he misses on a lot of detail. It's also questionable whether he's ever been in a relationship with a female because all of that dialogue and those scenes rang completely false. GREATEST BOOK I HAVE EVER READ! This book is definatley without a doubt the best book i have ever read. It is about a young boy who lives right by Yankee stadium. His name is Mike Arroyo. He is 12 years old. He is a terrific baseball player in little league. Sometimes all mike has in his life is baseball. It is a great read for those who love baseball. I extremely recomend this to everyone. This book is based on an urban atomosphere. He and his friend manny are very close. Mike and Manny can always joke around wenever they need to. 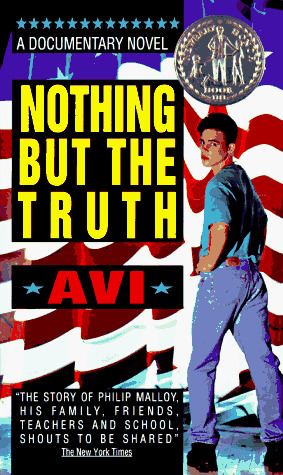 However, manny is the only one who knows his one true secret. YOU WON'T REGRET READING THIS BOOK! this book by mike lupica was an AWESOME follow up of TRAVEL TEAM. all his books r VERRRY well written. this was a real life situation that really touched me. The book slam was ok but all he talked about was how hard his math was, how good he is at basketball, how he's going to make it into the nba, how he lives in the ghetto, and how much he likes his wannabe girlfriend. I like basketball and all but when he gives you every detail about what is going on in the games I get bored and want to read something else. I think he talked himself up to much and he seems in the book like he's selfish, and isn't as good as he thinks he is. 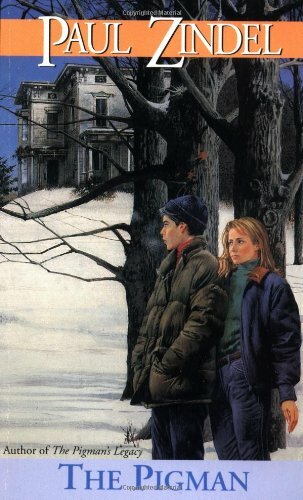 The author did a good job describing literary techniques and the setting though, I had a picture in my head the whole time just like a movie. I would recommend this book to a 10 to 12 year old boy who likes basketball. Slam is a pretty good book. 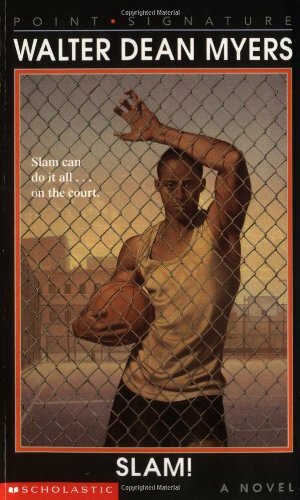 You are probably wondering why the title is Slam; Slam is the title because of the main character, Greg "Slam" Harris. Love basketball? Its almost what you could categorize as a must read. 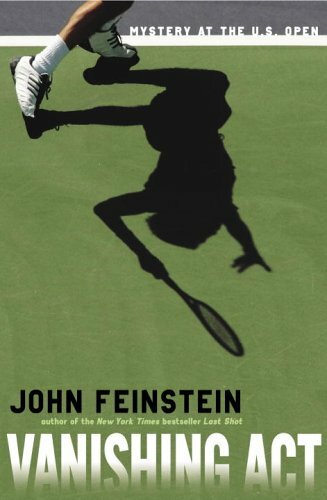 While reading this book I could almost imagine myself out on the court. Yes, this book is long, but if you have to read a book as an assignment, you should definitely read this one. how you can feel with a little boy's hardship in a boarding school and how you hope for his stamina and how you love his intense friendships that bring him on his way. 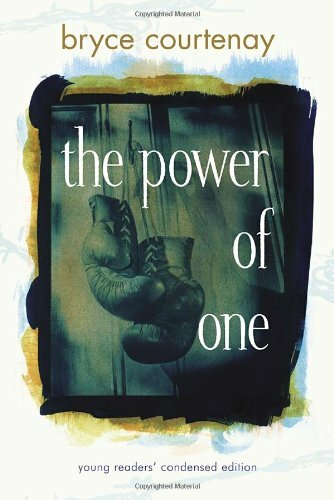 If Bryce Courtenay's The Power Of One sounds familiar, it's because this represents a young reader's condensed edition of a prior hard-hitter which became both an adult classic and an acclaimed movie of the same name. It's great to see such a powerful novel condensed with youth in mind: grades 8-12 will find compelling the story of 1930s South Africa and a boy who faces apartheid and prejudice in a country where his childhood is marked by loneliness and dreams of changing lives. A powerful story of courage and change evolves. 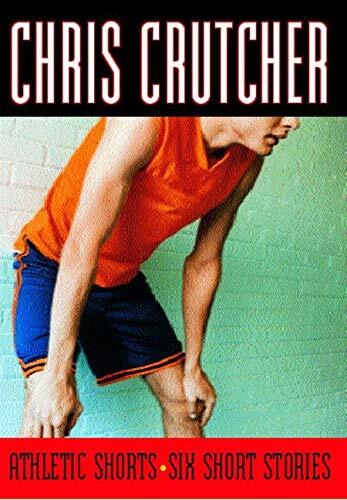 Athletic Shorts by Chris Crutcher is a collection of six short stories revolving around six different characters. 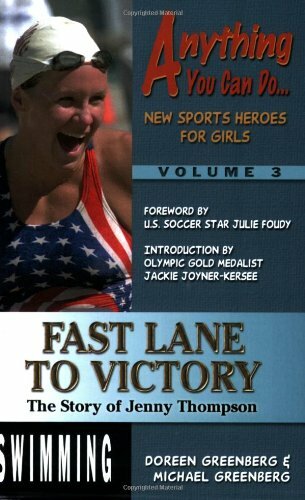 More than a mere collection of sports related stories this book looks at everyday situations and problems about teen life. Weight problems, pushy parents, uncomfortable situations, racism, homosexuality and death. Packed into less than 200 pages Crutcher is able to captivate readers through this book with his humor as well as his insights into the young adult mind. My favorite story of the six is "The Other Pin" about a guy named Petey who is "volunteered" by his best friend to wrestle Chris Byers who has a habit of not just beating all opponents but humiliating them in the process. If that wasn't bad enought Chris Byers is also a girl. Though some of Crutcher's stories are emotional and heart wrenching all are worth the read. This really is a wonderful collection, one that anyone seeking to understand the mind and actions of a teenage boy or even girl should read. Chris is simple, straightforward, and always fun to read. I'd highly recommend this to any student and even some teachers. The story was about a boy named Philip Malloy and he got suspended for humming during the Natinal Anthem.The teacher Mrs.Narwin had asked him to stop the first time but Philip Malloy refused.I think that Mrs. Narwin should have waited till the end to tell him to stop, but instead she was interupting to.She asked him to stop but he still would'nt do it and finally the third time she asked him she sent him out of the room.Then the principal said that he could either say sorry or get a 2 day suspention.And Philip refused to say sorry so he got a 2 day suspention.They thought that that was a rule but the super adendent saod there was no rule agenst singing during the Natinal Anthem.Then the word got out and then philip got letters from other schools that said about how he could go to their scholl because they have nothing agenst singing.Then Mrs.Narwingot letters that were not true and quit her job and went to live with her sister. A powerful topic and engaging format. A great read for any young adult. Get ready to miss the school bus --it's that good! 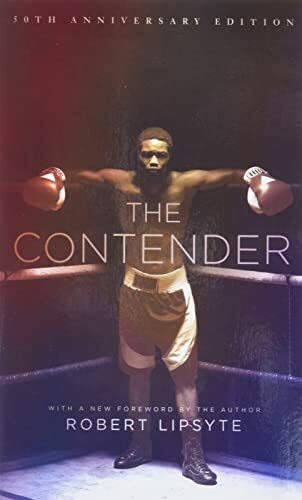 In the book " The Contender," a series of bad events happen in Alfred Brooks' life, he decides he wants to be a boxer, but one thing he doesn't know is how hard the training will be for him.Although boxing is very hard for Alfred he has a lot of other things to deal with like gangs and cops and his best friend James or ex best friend James.Since Alfred can't solve that problem, he has to move on with his life.After his second fight, Donatelli, Alfred's trainer, decides to tell Alfred that his boxing career is over, but Alfred didn't want to stop until he knew he was a contender. After his third fight even though he lost, he realizes he was a contender. 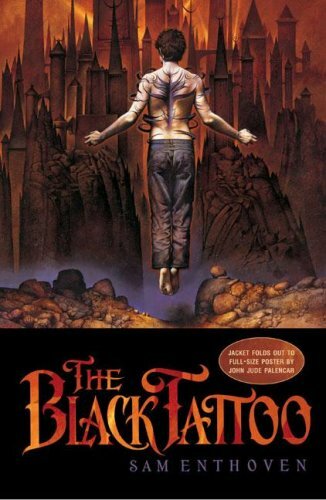 I was in need of something a little different than what I typically would read on a Trans-Pacific flight back to the states, and having previously picked up a copy of 'The Black Tattoo' at the BEA show, had packed Sam Enthoven's book with my for the long flight home. I am very glad I did. What a great book! I'm a cheerleader and a gymnast, and I've found it to be a fantastic resource! 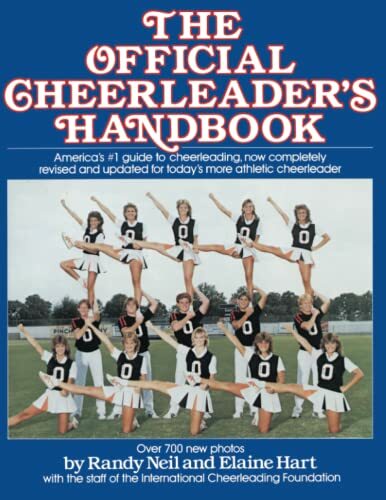 This book is perfect for all levels of cheerleading, whether you're a Pop Warner cheerleader or a Varsity cheerleader. It has tons of hints, tips, and instructions. There are thousands of photos. In here, there are jumps, cheers, chants, gymnastics, routines, stunts, pyramids, tryout tips, and sooo much more! This book has helped me become a much better cheerleader and I've appreciated everything I learned from it. This book deserves three cheers!! This bookis outstanding.it talks about reletionships and tradgedy as well as disabilities and the truth. I gave this book a five star rating because of the apparent time, thought and effort put into the creative text. My absolute favorite part of this book is the very ending because it shows remembrance of a lost freind. I would recommend this book to people with interests such as soccer, and ages 11-14 because of the setting at a Tangerine Middle School and Lake Windsor Middle School. Tangerine was an "read catching" book. When my language arts class read it I couldn't help but pay attention. 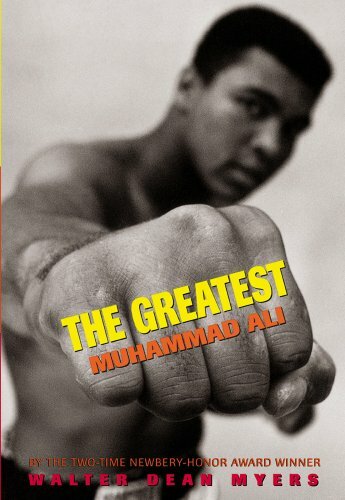 I bought this book for my fifth grader for a report he did on Ali.He enjoyed the book and pictures very much; to the point that he became quite interested in Ali's life (beyond just boxing).The boook was easy to read, not too long, and had some great, famous photographs. Great book for kids and parents! This book gave me a lot of good ideas when I took my daycare kids camping this summer.They liked most of the recipes, but we tailored some of them to their liking.It was a great book. 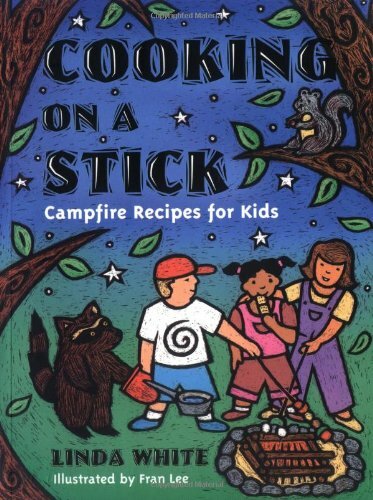 A good beginner book to give basic recipes and ideas for cooking on the campfire.The book does what I imagine it set out to do, giving starting point for people doing outdoor cooking with younger children such as parents, scout leaders, or teachers. 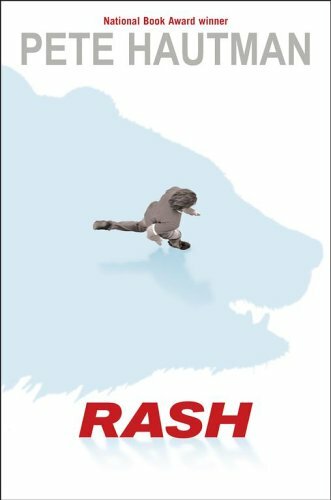 Rash by Pete Hautman is a wry look at a possible 2070s United States, now called the USSA (United Safer States of America? United Socialist States of America?). In this dystopian society, Americans (as well as people in most other countries) have traded freedom and independence for safety. It's no longer legal to play football, or to run without wearing extensive padding a helmet. Alcohol, cigarettes, temper tantrums, hunting, large dogs - all illegal. Three quarters of people over the age of ten are on the drug Levulor, which slows their reflexes, and helps them to keep their tempers in check. The first is still the best! Don't let the name fool you, this is not a farm animal book in any aspect. This is a legend, really! I first read this book in middle school, while all the other kids were reading Goosebump-like books I was delving into this funny, bold and often sad treasure. the pigman... paul zindel, in all his books, most especially this one, gives us a charming, more sophisticated depiction of teenage life. he doesnt categorize his characters, good, bad, spoiled, ugly, beautiful. john isnt just "the rebel teen", every one of his actions, and the the things his characters says, are justified, and if not justified, explained. meaning, theres a story behind each character, so that then you know " well thats why they did what they did". or, "thats definately something she'd say". john and lorraine think, and have consciences. and romance is lightly laid over them. all in all... its awesome. This books title is The Pigman by Paul Zindel. In the beginning Lorraine and John, two high school students, tell about themselves and the people around them. They also tell about the things they like to do such as make prank phone calls and hang around the cemetery with friends and drink. This book is about how the Pigman makes them realize that people they like will not always be around. In one part they are looking around the Pigman's house and they find the Pigman's wife's funeral bill. This book is superb. It is about a boy, Miles, who is in high school. He loves football, but unlike his teammates, he doesn't take steorides. His coach thinks he is not muscular enough, so he puts him in the reserve. Meanwhile, he also has a girl friend. When practice is over, he stays out with his girl friend, Lucia. 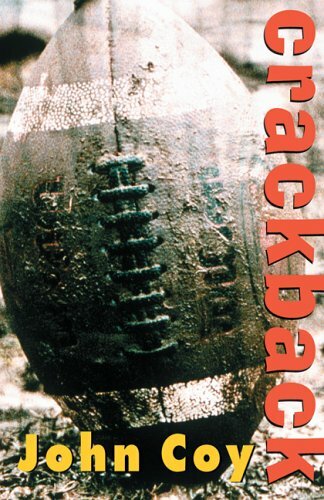 CRACKBACK aptly describes the action on and off the field in this debut novel by John Coy. A crackback block comes from the outside and it can destroy you if you're not careful. Miles Manning, a junior and a star football player, is blindsided by some crushing blows that seem to come out of nowhere. I love this book! It's a great story of how sports can shape your life in a positive way. Swimmers and non-swimmers alike will be inspired by Jenny's story. This great book is now available as an e-book for those of you who can't find a copy of the original printing. You can order here from amazon.com, the isbn is B0001GDOUQ. 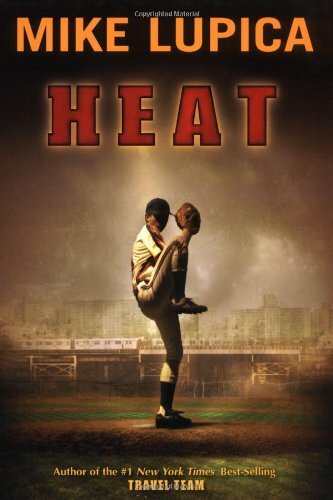 I originally had to read "Hoops" for a summer reading assignment for my English class.Then after the first two chapters I couldn't wait to read another page.Walter Dean Myers is one of my favorite authors, he always writes great books and I'm always pleased with his work. 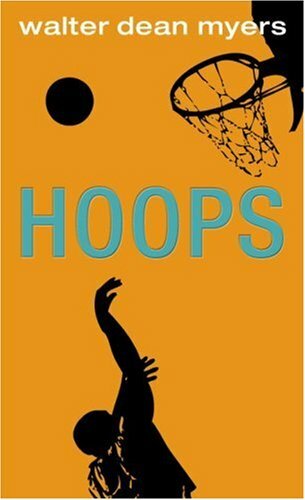 "Hoops" is one of the best books I've ever held in my hands.This book keeps you on the edge of your seat, you find yourself reading faster and faster, so anxious to turn the next page. The book hoops by Walter Dean Myers is a really good book. It starts out in Harlem city. Lonnie Jackson is playing in a city wide tournament. His coach Cal that used to be a NBA playerthinks Lonnie can make it to be an NBA player. On his way he encounters a couple of problems. Do you think he and his team win the tournament and become NBA players? If you really want to know read this good book. I am a middle school Language Arts teacher who teaches high-level eighth grade students (in other words, VERY smart, motivated, and voracious readers). I suspect that when Sharon Draper was a teacher, she taught some lower-level students because this book seems to be clearly geared towards those students. this book was ok but it was missing something. the thing that got me the most was the way the kids talked. i'm in 8th grade and i don't talk like that. i mean who says peace out anymore? overall i thought it was a good book, but i have other books i'd rather read. 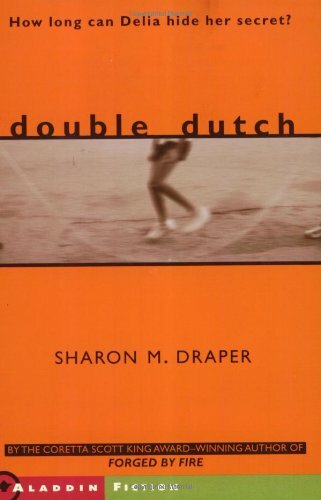 The book I have read was Double Dutch by Sharron M.Daper. I chose this book because it looked interesting. The main characters are; Delia, Randy, Yolanda, Toliver Twins, Cherline, and Narrator. Girls will most likely like this book because of the drama, and double dutching (ages:12-15).The main events are, Delia has a secret she can't read, and the finials of the Double Dutch competion.The theme of this book is friends are there for you no mater what. 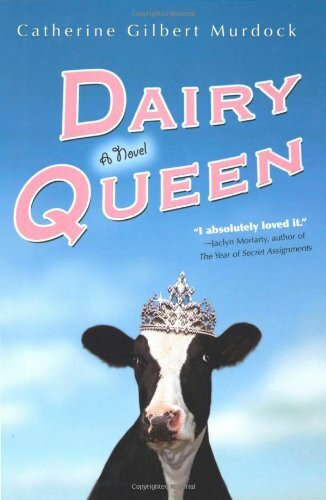 I really enjoyed Dairy Queen.It did drag a bit, perhaps, in the first half, but I stayed up late to finish it.Much more compelling and enjoyable than other YA's I've read lately.D.J. 's voice is what makes this story come alive. I never would have believed Catherine Gilbert Murdock's debut teen novel, Dairy Queen, about a fifteen-year-old Wisconsin farm girl whose family is steeped in football would keep me up all night reading, but that is what happened. I refused to stop reading the perfect-pitched voice of her protagonist, D.J. (Dorrie) Schwenk. Second, Murdoch's book is definitely against type when it comes to characters and subject matter. I'm going to disagree with what everyone else here has written.I thought the first half of this book dragged and I didn't see what all the praise was about. Ms. Murdock needed a stronger editor, in my opinion.I'm not entirely sure why I read that far except that I was stuck on a plane.I don't know if my students, would give the book to page 130 or so to pick up.